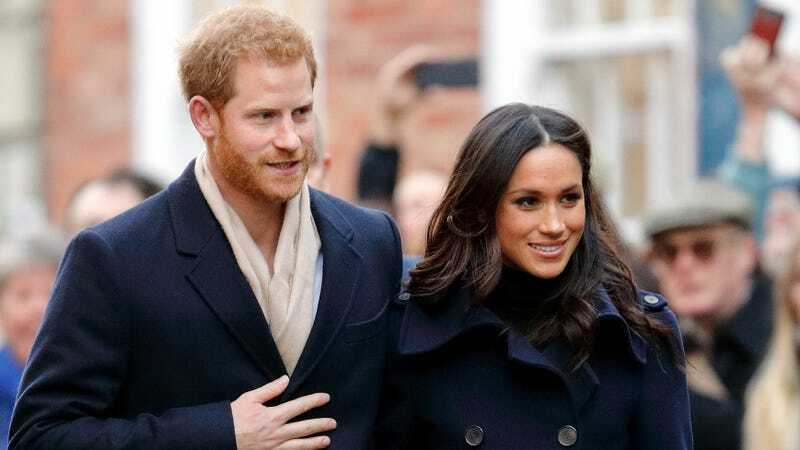 Like most American anglophiles, I’ve found the upcoming royal nuptials of Prince Harry and American Suits star/commoner Meghan Markle a welcome distraction from the hellscape of U.S. news. They’re having a beer created for the reception, combining American and British hops in an ale called Windsor Knot? That’s so adorable. Best of all, this cake departs from the royal wedding tradition of a wedding fruitcake, which is disgusting. Fruitcake might have been okay for Queen Elizabeth and Prince Philip, and Prince William and Kate Middleton—but Harry and Meghan are obviously way too cool for that. We’ll all see how it all turns out at the royal nuptials on May 19—and yes, my calendar is already cleared.